Predator’s wet tops are designed with the player in mind – plenty of room and durability for the playing in the wet. We use 240gsm ripstop fabric for your wet tops to keep your players dry and prevent damage when worn in training. Both windproof and waterproof, these tops are highly durable. Both embroidery and heat transfer are available to customize your kit and keep in the same design range as the rest of your kit. 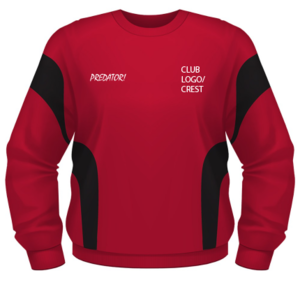 Contrasting panels in your club colours are also available to keep your kit unique to you. Contact us today to find out what we can do for you.